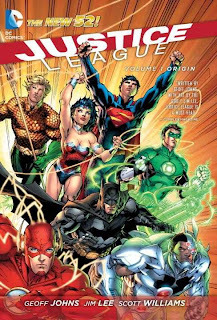 The DC New 52’s Justice League: Origin is a summer blockbuster of a story, one that puts me in mind of the Avengers movie about to arrive in theaters. We’ve rarely if ever had such a widescreen rendition of the first meeting of the Justice League, and as an action flick it's lots of fun. This is a Justice League story you can give to any reader that they can understand without much preface. At the same time, Geoff Johns and Jim Lee’s Justice League surprisingly seems less of a re-imagining of the team than it is an exercise in shoring up Johns’s own take on these characters. Johns’s characterization of Flash Barry Allen is easily recognizable here, as is his presentation of Green Lantern Hal Jordan and Jordan’s relationship with Batman. Up to now, Johns’s slightly-modified Green Lantern and Flash were variations on early depictions; with Origin, for better or worse, Johns’s depictions become fact. If Flash and Batman were the stars of the recent Flashpoint, Green Lantern and Batman are the stars of Origin. From the outset, Origin is the story of the independent Batman convincing the even more self-reliant Green Lantern that joining a team is not only a good idea, it’s a necessity. In a clever scene, Batman guesses that Hal’s bravado comes from trying to prove himself to a dead parent (only Batman can psychoanalyze in the middle of battle), and it’s the kick in the pants Hal needs to finally lead the team. That’s correct – while the League never formally elects a leader here (it is certainly not traditional League-leader Superman), to a large extent that leader appears to be Hal Jordan. It’s here one begins to wonder if Johns’s interests might carry too much weight in this Justice League story – but then again, as DC’s Chief Creative Officer, there might no longer be much distinction between Johns’s interests and DC’s. Green Lantern is the hero; the animosity between Green Lantern and Batman introduced in Johns’s Green Lantern: Rebirth now stretches all the way back to the origins of the League; Flash Barry Allen solves cold cases under Director Singh at the formation of the League just as he did in the recent Flash series by Johns. There's a benefit to this in that Johns's work of late -- both Rebirths, for instance -- will be what's most likely to sit next to these DC New 52 volumes on bookstore shelves, so new readers will find uniformity and similarity throughout. Experienced readers, however, might be surprised at how tangible Johns is in these pages through the choices he makes, possibly to too great an extent. With Origin, we find ourselves in a new DC Universe, one familiar yet subtly different than the one we just departed. It's hard to tell if Johns is setting up future plotlines or just name-checking characters, but New Teen Titan's Sarah Charles is behind the scenes at Victor Stone's transformation to Cyborg, as are the Metal Men's Dr. Magnus and second Atom Ryan Choi. Also along are villains T. O. Morrow and Professor Ivo, and marginal character Mr. Orr from Superman For Tomorrow, but also having appeared in a now out-of-continuity Cyborg miniseries. One wonders again if Johns is simply trying to provide continuance (if not continuity) from old to new; that Cyborg miniseries might not match up any more, but it's possible the differences would be slight enough a new reader wouldn’t notice. This is a brasher Justice League than what we're used to, perhaps to emphasize the youth of the team. Green Lantern is more of a jokester than he has been, resembling the animated Justice League's Wally West. Flash mentions he can't "do jack" at work because of his secret identity and Green Lantern says Batman's "a total tool." This strikes me as trying too hard -- neither of those phrases are especially "cool" as is, and are only likely to date the story going forward. My hope is that Johns has done all of this purposefully, and he'll tone down those elements in the next book set five years later. As a whole, however, I did like Johns's portrayal of the team and their motivations for coming together. Johns introduces an anti-establishment tone to the League; Green Lantern has had "conflicts" with the Air Force and Flash doesn't even want to appear in public, for fear of the bad press and public condemnation he's received. As Superman says to Flash (taking a page, perhaps, from Grant Morrison's current Action Comics characterization of Superman), "You look like someone who wants to do the right thing, but the same can't always be said for everyone in positions of authority." Individually the heroes have been scorned, but in defeating League-level threats they earn trust. This makes the League a team of outsiders, forced with a certain amount of desperation to stick together or else be marginalized on their own. If that sounds like a certain team of mutants, you may not be far off, but I appreciated the slightly darker edge with which this imbued the League. Johns further underlines this distinction with a narrative slight of hand. The League eventually earns the title of the "World's Greatest Super-Heroes," but they start out as the "World's Greatest Super-Humans." They are heroes, but they are not heroes first; rather they're human (even the Kryptonian) and fallible, and just one failure, we gather, away from losing the trust they've just barely earned. I don't mind so much a Justice League that has to work a little harder for their success than they have before. It's guaranteed Justice League: Origin is going to rankle some readers, especially the paranoia upon which this League is founded and how it's decentralized away from DC's Big Three (or away from Superman and Wonder Woman, at least). I found the story functional and interesting, if not necessarily ground-breaking (Johns reinvents villain Darkseid not at all, and the main conflict is a typical heroes vs. Darkseid match). Johns and Jim Lee, however, are a powerhouse team that can tell a story with distinct depth below the surface, and I have to believe that portends good things for the Justice League going forward. We've entered the DC New 52 ... now it's time to get Dark! Be here Monday for our first review from the Dark section of the DC New 52, Animal Man: The Hunt. See you then! So, what does this work better as? A book you can give to newbies, or a refreshing new take, or neither? Is it comparable to New Avengers: Breakout? A book you can give to newbies, yes; give this to your friends who enjoyed the Avengers movie. A refreshing take, also yes -- it's a good, brisk story -- but "new," not necessarily. Once it gets going, I didn't feel this JLA vs. Darkseid story was much different than most JLA vs. Darkseid stories you've read before (not, entirely, that there's anything wrong with that). As for New Avengers: Breakout ... ? @CE New Avengers: Breakout was the first collection of Bendis' New Avengers series. He had basically blown everything up with Avengers Disassembled and then started everything fresh with spider-man, wolverine etc as the New Avengers. I think what Aalok means is that New Avengers: Breakout was a good hopping on point for new readers because it was a new team and you didn't have to no anything about past Avengers continuity to read it. He might alos mean that there was a lot of backlash from Avengers fans that this wasn't their Avengers (spider-man and wolverine being a part of the time was the biggest problem). CE what are your feelings after reading the trade about Cyborg being a part of it? Certainly when you think of the world's greatest heroes and icons of the DCU he isn't the first name at the top of the list (despite what Johns tried to do with him in Flashpoint). Does he feel shoehorned in as a minority representative or does it feel like he belongs? Breakout was kind of a weird story in-context with the Marvel Universe. It was, I felt, a lot more decompressed than JL: Origin, and it took some weird turns, becoming less about the escaped prisoners as it went on. Origin comes out on top due to the characterization and stronger team dynamics. I won't lie, though: if Superman had ripped Darkseid in half and thrown him into the sun, it would have been intriguing in a "holy crap, the new DCU is different" sort of way. I read "Origin" in single-issue form. Are there any bonus features in the trade that would get me to pick it up (sketches, behind-the-scenes, etc.)? I don't care what the haters say, this first arc was tremendously fun. Seeing Jim Lee draw my favorite super-hero team fighting Darkseid is a dream come true, and I appreciate Johns' efforts to include some personality conflicts this early in the JLA's existence. One of the reasons why I wasn't exactly holding my breath to see the original JLA get back together before the reboot was the fact that all of the big 7 were great pals already, and Barry and Hal's friendship wouldn't be nearly as fun as Wally and Kyle's bickering rivalry in Morrison's run. With Johns' revisionist take on the League's origin, all of that changes, and I'm excited to see them develop into an actual team. How does it feel to be part of the New DCU CE? When I first started reading comics it was in the mid-90's and I was a marvel zombie (specifically an x-men zombie). I loved the fact that the x-men had so much history and continuity and I tried to get everything x-related to be a part of that continuity. When Grant Morrison took over the X-men I stopped reading after the first few issues because that wasn't my x-men, it was all completely different. It took me a couple years before I went back and read those Morrison issues and I enjoyed them, although I still kind of set them aside as their own seperate thing. Ironically it was Grant Morrison's JLA #1 that got me into reading DC comics. I think the same thing can be said with this new Justice League, and the new DCU as a whole, we can choose to think of it as a continuation of the old or we can choose to think of it as something new and unconnected to what came before. Cyborg isn't a founding member of my Justice League, but why can't he be in this new one? The hardest part is convincing myself to think that way. I think this is why I haven't had too much interest in many of the new series (although not a lot of them have been reviewed well), but the ones I am interested in are basically just carried over from the old DCU (Green Lantern, Snyder's Batman) or ones that you can just pick up that have stayed true to the character's past (Animal Man, Swamp Thing). @Nikos, I don't mind Cyborg's inclusion in this book. Johns positions him as the Firestorm of the group -- the young guy, the everyman, the sidekick, the one who looks at it all not just as another day on the job, but with a sense of wonder. Cyborg is the reader in this story. That's something that it's important for the story to have and that the traditional Justice League Big Seven line-up doesn't offer; it's an argument for including someone like Cyborg even aside from the question of race and diversity. Johns is pretty faithful to Cyborg's original origins -- he even Easter Eggs Sarah Charles in there -- and actually, having Cyborg in there, created as he is, gives this book some resonance with one of the greatest origin stories out there, the beginning of New Teen Titans. NTT is a "group comes together for common threat" story, and JL: Origins is a lot like it. @Doug, The DC Source blog is this week showing off the sketchbook section that's also included in JL: Origin. @Nikos again, It's the end of the world as we know it, and I feel fine. The DC New 52 is something about which the reader has no control, so we can either decide to dump it or go along and make the best of it. Superman's origins have changed a lot over the years -- I liked Byrne's Man of Steel, but when Birthright came along, I made the mental readjustment that now things point to Birthright, and then again that things point to Geoff Johns's Secret Origin. It's a continuity (a continuity continuity) -- there's a place on the DC Timeline where almost simultaneously one story uses Robin: Year One as Robin's origin, and another uses the conflicting Dark Victory as Robin's origin. As long as a writer is faithful to something, I'm OK -- and even when they're not, it eventually works itself out. I've mentioned here and there but I'll say again, the DC Timeline is going to continue as is, with the DC New 52 appearing as the next category down. Some items start fresh here, some continue from what came above, and it's all OK. I'm along for the ride and enjoying it. I’ve been looking forwarded to this review. Great job as always! Personally, this new Justice League origin didn’t really “wow” me all that much. Although Cyborg’s introduction did add a small amount of diversity to a mostly all white team and gave the Justice League a new powerset (ie. tech-expert) that wasn’t there to beginning with. I would absolutely give this volume to a new comic reader for a bare-bone, simple introduction to the Justice League. It’s big, flashy and colorful (like you stated, it’s a summer blockbuster movie). I didn’t enjoy it, but I know many that would. Animal Man next week, *fanboy squeal* can’t wait!! I’ve got my trade on order from Amazon and it should be shipped soon. Animal Man is most certainly the big runaway hit of the New 52 (it was during Morrison’s run as well). Ah, that would explain why I haven't seen the sketchbook. I've been staying off of comic book sites (Newsarama, CBR, even the Marvel and DC sites) for about a year now, and I stopped reading the solicits beyond what's coming out each week. I'm tired of getting spoiled three months in advance. I made a pledge a few years back that if I ever write a comic, I'm lying about what happens in every solicitation just to throw everyone off. @Ryan, Animal Man is so good. So good. Can't wait until my review on Monday; I'm super-excited to talk that one over with you all. @Doug, Wish I had your willpower -- I try to put myself on "spoiler diets" but inevitably I fall off the wagon. Oa might be calling for you soon. It helps when the sites you visit have negative commentary updated every hour. I have other things to worry about instead of how Wonder Woman's costume got a redesign or that so-and-so C-list character is coming back from the dead. I'm glad to hear that your timeline will continue as is. In my opinion, the old DCU actually happened. Flashpoint actually happened. And the new 52 is currently happening. I was digging the series but when issue 6 came out i was giddy with all the Fourth World stuff. How Cyborg's suit ties into boom tube tech is going to be really interesting, can't wait for further reveals. Jim Lee knocked it out of the park. Yeah, Johns could run the series for years on stories about what's in Cyborg's technology alone. T.O Morrow has a hand, Professor Ivo has a hand, there's a mention of Ryan (Atom) Choi, Amazo, something called S-Maze, promethium, PLUS the Fourth World stuff. Maybe a Cyborg backup when Shazam is over? Much disagreement here, but I won't rain on your parade with extensive commentary. I just found the entire thing quite annoying. The characters spend most of their time brawling for no reason, like a parody of a Marvel comic, and the story is slim as slim can be. Huge splashes of overworked art, slow as molasses plotting, and after Darkseid appears, he sort of just leaves. Given the talent involved, Justice League is THE disappointment of the NewDC project. And it only gets worse after the 5-year jump. Sorry, but that's just what I think. Great review CE! I appreciate the lack of significant spoilers and it just confirmed my suspicion that I need to pick this up. The big question is whether I should keep with TPB or jump ship and buy digitally since it seems that prices are getting closer to each other. 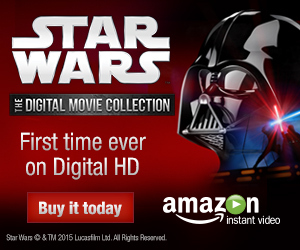 Also, what's up with Amazon not releasing this until the 8th? I read everything via trade but I wanted to support the new 52 in some way so I decided to read the first Justice League arc in single issues. I pretty much agree with the review. It's good, pretty much a big summer action movie, but not great. Entertaining at least. I'll be getting the trade. @Siskoid: I disagree that they just spent all their time fighting each other. Batman and Green Lantern were at odds when they first met but got over it quickly. Then everyone ganged up on Superman which was resolved in less than an issue. That basically an issue and a half, tops, where the characters fight each other. It's more than zero, sure, but I didn't find it excessive. @Chris D: I agree with you and Anonymous above. It all happened, reset or no. If authors want to bring elements of the "old" universe in then do it, but I fully support reworking things as well. @Chris D, Amazon always gets comic book trades & hardcovers a week (or rather 6 days) late because they run on a bookstore schedule. New releases hit on Tuesdays instead of Wednesdays. And so the release of the new "New 52" TPB begins, heh? No argument with Siskoid necessarily (you read Siskoid's Blog of Geekery, right?) -- the newness and summer blockbuster aesthetic of this story carried it pretty far for me, but as I said above, as a Justice League story, it was good; as the first volley of a entirely new DC Universe, it was not quite as new and different as one might hope. I am sorry to hear you don't think it gets better in the next volume -- that's what I'm really hopeful for. On the other hand, DC New 52 Animal Man? Outstanding. People did tell me that this one had a summer blockbuster feel. So, I did hazard a guess as to whether a newbie who did not know GL is Hal or the Flash is Barry would be lost, hence my question. As for New Avengers: Breakout, it was a storyline introducing a new team, almost no continuity baggage, so similar in terms of theme I had to make the comparision. But you have gotten me intrigued, I shall pick this one up. I agree that this book was like a blockbuster movie; lots of action, enough characterization that you get a sense of who each hero is, but they don't really spend a lot of time building a heavy plot and go right into the action. I can certainly see how that could turn off some readers who want a deeper story to go with the action. There really wasn't a whole lot of plot. It kind of reminded me of the Justice League cartoon, which (due to time constraints) often jumped right into the action on things. Still enjoyable, for what it is, in the same way a good action movie is enjoyable. I thought it did do a good job of introducing the characters; it more or less takes for granted that the readers know who Superman, Batman, Wonder Woman, and even Green Lantern are (likely due to their other-media exposures), but it still covers that Superman is a Kryptonian, Wonder Woman is an Amazon warrior, and Green Lantern is a space cop. Barry is shown working as a police scientist, and Aquaman points out that he's the king of Atlantis. Cyborg, the least known of them all, has his full origin here in this story. So yeah, definitely a good book for new readers. Regarding those sketches and extra material, they were included with the digital issues. Finally, I didn't see any mention of the "Today" epilogue featuring Pandora. Was that included in the trade? It seemed to me something that could easily go at the beginning of the next trade, assuming that the next story arc picks up from it. As someone who read this collection in issues, I thought it was a drag. Six months of reading this, I felt there was no forward momentum in the story. With that said, I reread it again (this time in the hardcover format), and I have say, it's not as bad I was original thought it was. 1) After seeing the Avengers movie, I could see this adapted as the JLA movie. 2) The first three issues (story and art) is the best ones of the collection. 3) I still don't understand why Batman took his mask off in the first place. 4) It was obvious Jim Lee was on the deadline gun in the last two issues. There was some places in the collection that were bad (Batman's face after he revealed himself to the Flash, and the splash page of Wonder Woman stabbing Darkseid in the eye). 5) As a person who is a huge Green Lantern fan, and a fan of Geoff Johns's GL run, his new depiction of Hal Jordan annoyed the crap out of me. Reminded too much of Ryan Reynolds and the GL movie. Above all, it was solid. As a monthly issue reader, did it motivate me to reconsider dropping this series after issue 6? No, but I'm willing to pick it up if I hear good things. So far, the answer is no. 1) I think this would need way more plot points to become a Hollywood movie! 3) As I interpreted it, Batman took off his mask (and bat-emblem on his chest) so that the Parademons would see him as a regular civilian and kidnap him, so he gained access to that big island that they were taking everyone to. As long as he had on his superhero outfit, he would have been battled rather than captured. 5) I too noticed a big difference with Hal, but you have to consider that this is set "5 years ago" at the beginning of Hal's career. All of the heroes are younger (one of the purposes of the New 52) and are a bit more immature. I took this as being the same brash Hal that we saw in the Emerald Dawn mini-series (although I haven't read those in some time) and to a lesser extent in the Secret Origin book by Johns. I should mention that I actually didn't mind Ryan Reynolds as Hal, much to my own surprise. Took me a little reading it to figure why Batman took off his cowl, too. Definitely that he revealed his identity to Hal so readily surprised me, and also that Hal didn't know who Bruce Wayne was -- that didn't make any sense to me, given that Bruce is supposed to be a big corporate name even "five years earlier." The bigger puzzle was how Bruce got his cowl back -- it's like he picked it up mid-Boom Tube. There is a small panel where you see Batman putting his mask on again. Its very small and easily missed. Also, Bruce Wayne being a big corporate name doesn't necessarily mean that Hal Jordan, Air Force pilot, would know who he is. Maybe if Hal lived in Gotham, but Coast City is out in California. I too found it interesting that Batman revealed his identity so readily, but maybe if you consider that this was supposed to be the first "end of the world" situation in the New 52 universe, Bats was willing to let a few things slide for the greater good, and getting Hal onboard and focused was more important than hiding his identity. Your explanation for why Bruce Wayne took off his mask made sense. I thought of the same thing when I read it but considering the art was drawn so rushed, I didn't even notice Batman removed the "Bat-symbol" off his chest. Personally I found the ending very cheesy, just though I'd throw that in there, and it was so delayed in single issue form that I was expecting a lot more from it. I know that Justice League Vol 1 has had a lot of posstive reviews, but I was really disapointed by it. I feel that most of the events just happen with no consequences or attampt to develop the characters.